Jung identified the persona as the bridge between the ego and the external world; in just the same way as the anima forms the bridge to the inner world. The persona is simply your public personality, the face you show the world. The better developed your persona is the better you will get on in the world. This is a generalisation and suffers the limitations of any generalisation. Naturally some people get on pretty well with a very poorly developed persona, but these are the exceptions not the rule and then almost undoubtedly their progress in the world would have been enhanced had they a better, more cultivated, persona. Bottom line, the persona is an invaluable tool in public life and social interaction. It plays an important role even in private life, your interaction with intimate friends and family as well, but here the line between ego and persona becomes more blurred. • The face you show the world. The world and the people in it are not generally psychic they do not get to know “who you really are” through some process of psychic osmosis. People that interact with you know you through your public personality, from their perspective that is exactly who you are. • Who you are in the world. • The values, beliefs, prejudices and ideology you represent to the world. • Tell others who you are, what you are and what you stand for. • Tell others who they are dealing with. • Speak your message from the inner world, including your most heartfelt inner being. • Establish relationships publically, professionally and privately. • Actualise who you are in society. It is then not an unimportant aspect of you as a total person. And as effective as the results can be when the persona is well developed they can be even more disastrous when the persona is poorly developed, inappropriate, unconscious, not well articulated, ambiguous, wishy washy or simply non-existent. A common failure in the modern educational system is the failure to effectively communicate the significance of this essential social tool. More so now I suspect than in yesteryear. Naturally this is a culturally specific observation, but definitely in the western world the focus on persona has decreased in the last century. The modern idea is be yourself, behave naturally, don’t be inhibited, express yourself etc. And perhaps this is most evident in the sexual arena where conformity to a specific type (heterosexual) is less important than it was for successful social adaptation. However society functions by virtue of the social interconnections established via these personas. To the extent that you identify yourself to me and in so doing I am able to establish a protocol in your behavior, know who you are and what you stand for, social interaction is facilitated. It is all very well to say “be yourself” but it is somewhat less clear how you should communicate that self to the world. From a Jungian, and classical cultural, perspective this tool is the persona. It is all very well to say ” be yourself”, if only being yourself were not the most difficult of all things. For to be yourself presupposes that you know who ‘yourself’ is. Secondly “be yourself”, contrary to what the popular media may suggest, does not in fact mean you should publicly indulge every whim. Rather it has some value if you are able to establish an aspect of your being (that is being in the world) that you represent through ‘being yourself’. And in being a beacon of this value you are in fact being yourself, because this is the value you have adopted as being closest to your true self. Let me use an analogy to explain this idea. Consider what it means to be a coffee shop. A coffee shop performs a non negotiable function of serving coffee. Beyond that there is an expectation that a coffee shop conforms to certain well established parameters: offers seating for its customers, sells certain snacks to accompany the purchase of a coffee, has a variety of different coffee-like options, has a certain ambiance, its pricing falls within a certain range and so on. Now whilst not every coffee shop has to conform to all of these, it is customary that most will conform to a good number of them and through this we know them as coffee shops. Which brings us to the next important point: a coffee shop must necessarily, if it is to survive, tell the world that is a coffee shop. It must have the persona of a coffee shop. How exactly does it do this? Well possibly the easiest and most effective way is to be part of a chain. A store that is part of a big franchise such as Starbucks, or The Seattle Coffee Company, or in South Africa maybe Mugg & Bean Coffee Company. Here the moment we see the sign we are able to connect it with a well established coffee company brand. You or I am able to enter with a sense of comfort and familiarity despite never having been to this particular store before, the brand tells us what we can expect. Now a coffee shop that is not part of a big franchise has a slightly tougher job telling us what it is and what it stands for. Still it usually has recourse to certain tell tale signals that communicate its essence to us: the big noisy and aromatic coffee machine, a general coffee aroma in the shop, a fairly standard layout and seating arrangement, some images on the walls possibly showing a Parisian comer coffee scene etc. and what we can expect when we step into it. In both cases it is clear the shop has to act (look, feel, behave, present, smell) like a coffee shop in order to both function and be identified as a coffee shop. This is analogous to the persona. The persona acts, or should act, in the same fashion. Let us consider the broad category of being an entertainer. What type of entertainer: musician, actor, comedian, dancer, exactly is our next question? Provided the person falls into any one of these identifiable sub categories we are satisfied that we know who they are- we can identify and classify them. In that context to return to our coffee shop franchise analogy a good comparison may be being a ballet dancer with a recognised company, or a Hollywood (or Bollywood) actor. Being in other words not only an entertainer, but an entertainer in a clear and recognised category (e.g. dancer) and furthermore being a member of the Bolshoi Ballet Company. Okay so that’s when the persona is very clearly articulated. What about when it is not? So, for example, what about if the person is an entertainer but is not sure whether they are an actor or a singer, not sure if they want to be on stage or in cinema etc. That probably describes the majority of aspiring entertainers who have developed multiple skills in order to have the versatility demanded by the entertainment industry. And in due course their career paths, if all goes well, will identify them increasingly with one of those skill sets or personas. Still as you can see it is somewhat more challenging for a casting director or agent to place them. But okay that as we know is still workable. What about though when there is a further blurring between whether this person is a professional entertainer or someone who is going to teach dance, acting, singing. Hmm maybe a little more vague now, but still okay, could work, lots of people fall into that broader category accepting what work comes their way. Now, whilst the world is filled with just such people and to some degree or other we all have these dilemmas to contend with, it does make the message of who you are, that the world receives, confusing. And to the degree that it is confused, no one quite knows whether to treat you as a medical student or an actor, including the people that most matter, the ones that are going to employ you for example, or the ones who are going ask you join their theater company. The complexity of life being what it is today I must concede that fewer and fewer people fall into a simple classifiable category, professionally or personally. Life has simply become too multi dimensional for very narrow classifications. However that does not detract from the importance of communicating clearly to the world who you are and what your brand is. To the extent that you are able to articulate your brand very clearly and communicate to the world at large your journey in the world will be facilitated. Your inner ambiguity that is expressed in your persona confuses others as much as it confuses you. I think most of us are inclined today to indentify ourselves with our inner world or at the very least with our private selves. 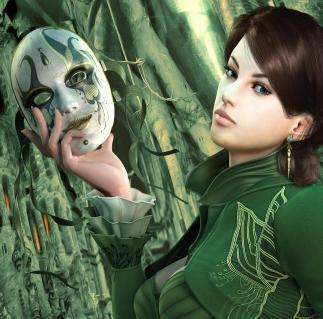 The persona is seen as a necessary evil, a mask that needs must I don for the world out there. And it is this negativity towards the persona as being somehow less than 100% authentic that casts it in a poor light. Jung himself did not hold the persona in very high regard and to some degree his persona seemed less than ideal. However I think that is only a superficial view and in fact his persona was highly developed and a significant part of the Jungian legacy. I have started so suspect over the last few years that the persona is at least as important as your relationship with the inner world. It is the persona that is the true carrier of your essential being into the world. It is the persona that the world comes to know you by, not your inner life, unless like Jung it becomes a part of your persona, i.e. 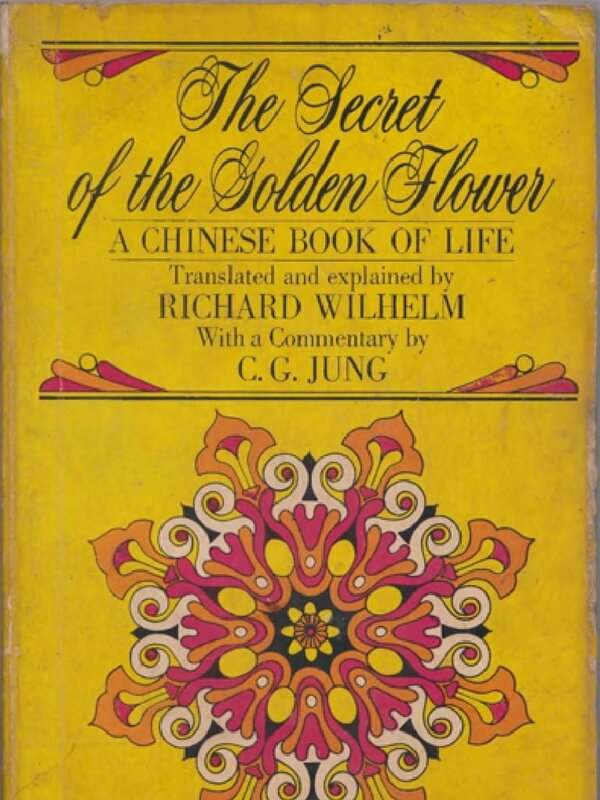 think of Jung’s Red Book and how that adds to the mystique of who Jung was. Whether or not you agree with me I hope I have been able to communicate the importance of the persona in the psychic economy. • Classify your persona in the same way we did with the dancer example. • What message does your persona send to the world? • Do you think your persona is functioning optimally? • Is there any way to increase the clarity of your persona? • If your persona was a coffee shop/restaurant what would it be? • If it were a movie what would it be? • If it were a song what would it be? There are exceptions to this naturally. I would say this development of the persona has a greater focus in the elite English schools and those around the world styled on that system. The development of the persona reached a high watermark in Victorian England, and is one of the trademarks of English culture, if less so today. This is definitely one of the reasons that these schools are chosen by the parents that send their children there. I use ‘needs’ here in the loosest sense, naturally it (that is you) need to do nothing you do not choose to do; this ‘needs’ cashes out as a recommendation following the application of these ideas, not a dogmatic injunction. Hi Steve – once again a very interesting read – tx! It made me think of the eulogy a good friend of mine’s husband gave at her funeral. He never mentioned any of her achievements in life, of which there were many, but told two anecdotes of her concern for others – simple kind acts she had made, which gave a perfect picture of her persona. This had an impact on me – so often we measure ourselves, are are measured, by our achievements – sadly! Thanks for the comment Margaret. And I think your point about actions, as in the case of your late friend, being part of the persona is a good one. I have always though, like Jung I suppose, of the persona as a necessary evil. But over the last few years this has changed. I think the persona is much neglected and maligned, all the more so in a country like ours where it is given so little attention. And this neglect is to the detriment of society and our ability to interact with each other. We have forgotten the value of good manners. Thanks for the concept of the “persona” as it makes a lot of sense. I think a problem for multi talented people is to decide what their persona should be and then act on it. Like you have said, trying to build up diverse persona’s at the same same time is doomed to fail, especially if your intention is to make a living out of it.